Wage inequality between men and women has split opinion in the UK after the Government last week announced that all large firms would have to publish the gap in average earnings between their male and female employees. 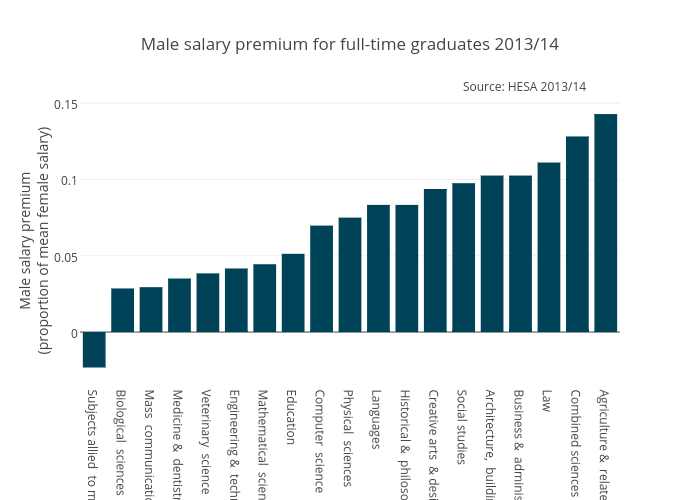 In light of that debate, today’s HESA data on the pay of recent graduates is interesting. 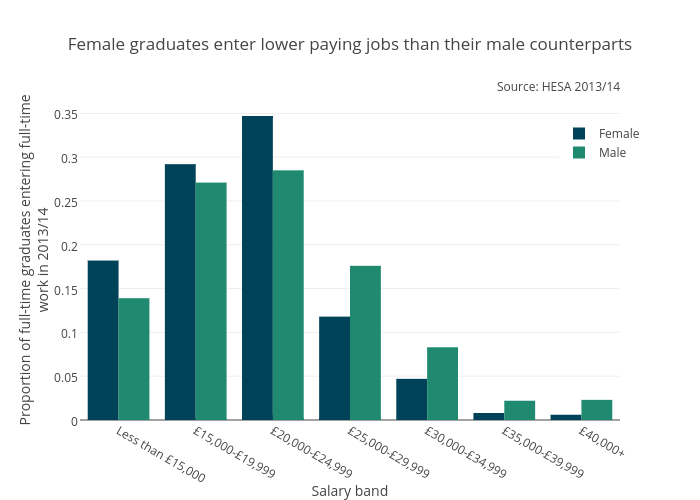 It shows that female graduates are slightly more likely than male graduates to be in work a year after graduating, but they earn considerably less. These correlations aren’t in any way conclusive, but they’re hardly reassuring for people who think the wage gap between men and women has been eliminated. Importantly, it’s only through transparent discussion of these outcomes and the possible mechanisms that we will overcome the societal problems that caused the wage gap. Avoid those questions by opposing pay transparency will not make the problem go away, nor silence the critics.